The past few weeks have been WILD! First, our basement flooded and we had to get rid of everything down there, and then disinfect it (thank you sewer water). Then, we went on a week-long, much needed vacation. It was very relaxing and I’m so happy we were able to take the time off to spend with our families. I cheated A LOT on vacation. I had a McDonald’s hamburger (with the bun), donuts, real pizza, bottled salad dressing, coleslaw, and potato salad with onion. I barely glanced at a vegetable. While I loved my vacation, I have felt awful for the past 5 days. I have had migraines, bloating, gas, and constipation. We got back in town on Friday, and I’m just now starting to feel normal! In order to get back into the swing of things, I shopped for all low-FODMAP friendly items, and made food. Planning out my meals is the biggest challenge I have, and I work hard to make it happen. Having things that I’ve already cooked make this ordeal a little easier. For lunches, I bought a big plastic box of salad greens. 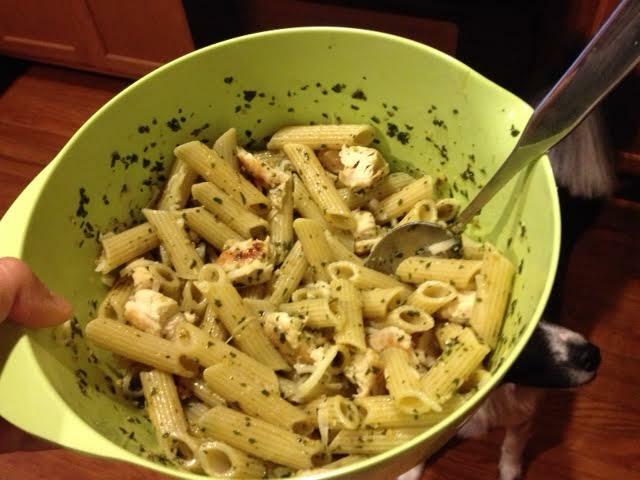 I made low FODMAP pesto (see recipe below) to add to salads and proteins. I also made some polenta for dinner, and had enough leftover for a to take for lunch for the next few days. Add all ingredients, except for the garlic-infused olive oil, into a food processor. With the lid on, and the food chute open, slowly add olive oil while pulsing the mixture. Add olive oil to desired consistency. Use it immediately, or store in a container in the refrigerator for up to two weeks. Simple and delicious! I added it to some GF pasta and chicken. I admit, I miss the taste of a big hunk of garlic in there, so next time I may add green onions to the mixture as well. 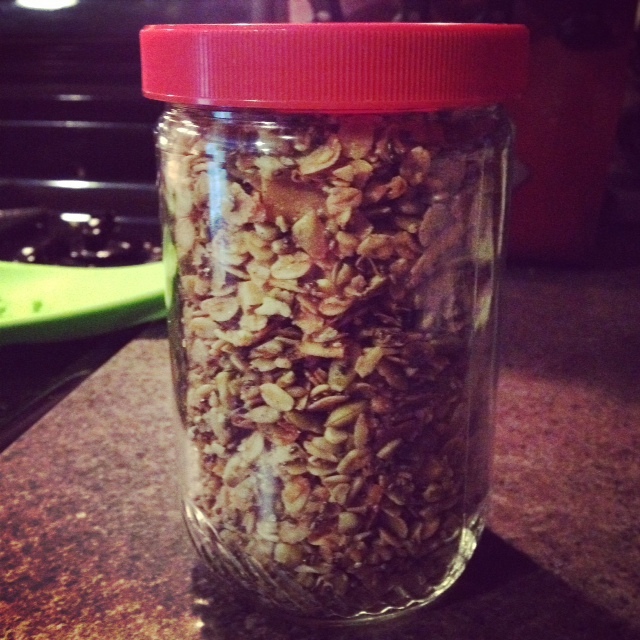 I also made a delicious batch of Detoxinista’s pumpkin seed granola. I love to sprinkle it in my smoothies, or have it for breakfast with almond milk and a banana. It’s very filling and satisfying. I ran out of coconut, so I added GF oats to the granola as well. Speaking of breakfast, I didn’t totally blow it on vacation. 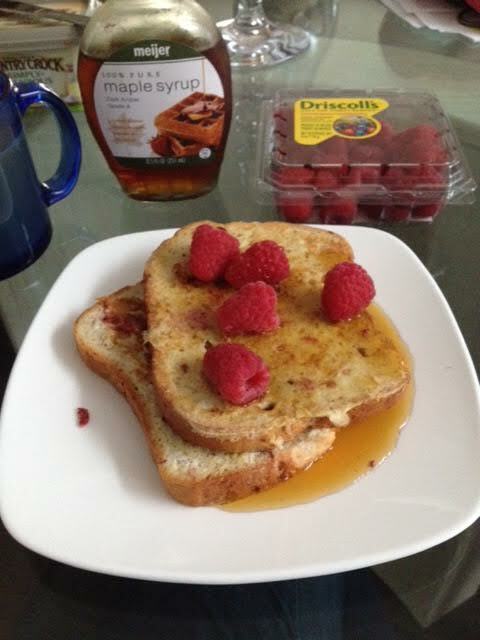 I made this amazing raspberry french toast instead! Topped with real maple syrup and raspberries, it was decadent but healthy. Heat skillet or griddle over medium heat, and grease with preferred greaser (I like coconut oil). In a very shallow square dish, add eggs, mashed raspberries,vanilla, cinnamon, and milk. I don’t have a milk measurement because I think it depends on how milky you want your toast to be. I prefer about a 2-3 second “pour” of milk. Using a fork or a whisk, combine until the mixture is frothy and the eggs and raspberries have been well mixed. Dunk bread into egg/milk mixture, one slice at a time, and make sure to turn over in the dish so you get both sides coated and drain off excess. With GF bread, I notice I need to leave it in the dish a little longer to make sure it’s all saturated. 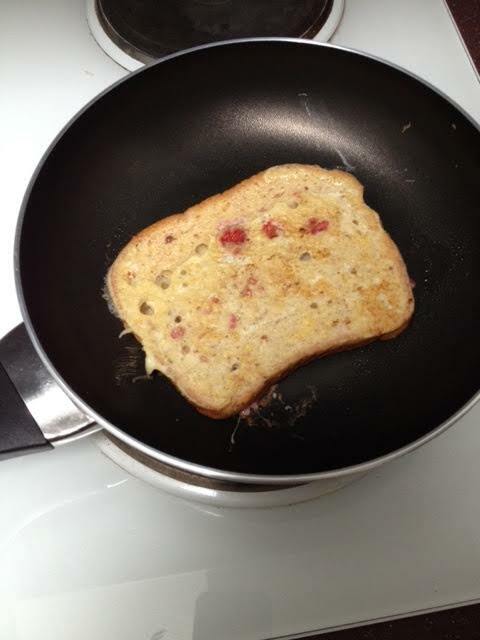 Add bread to your skillet, one by one, and cook for 4 minutes. Using a spatula, turn over to other side, cook 3-4 minutes. Top with whole raspberries and maple syrup. Devour! *note: you may notice that as you are dunking bread, the milk mixture is running low. Feel free to add another healthy “glug” of milk, and more vanilla.